The Feiss Zara 4 light ceiling pendant in brushed steel finish with organza fabric inner features a spectacular array of steel tiles creating a mosaic diffusion of subtle light. 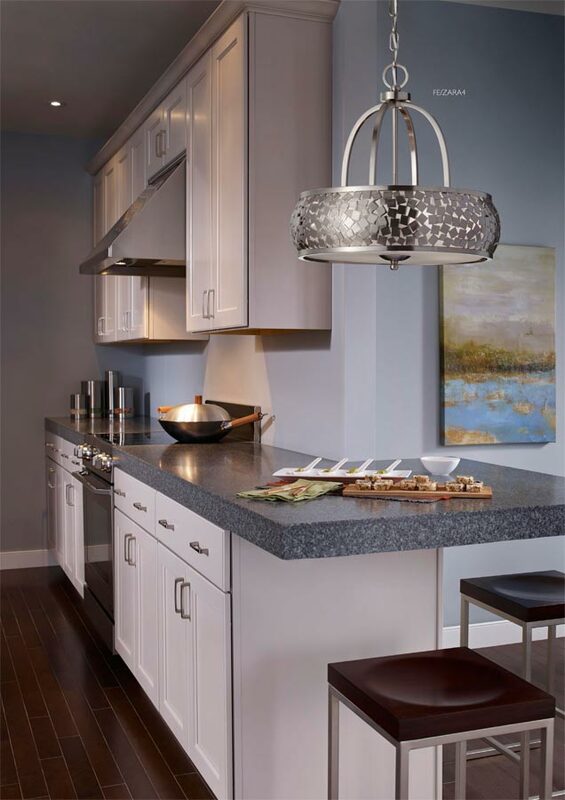 Circular ceiling mount and chain suspension, with an arched frame that supports the feature pendant. Allowing light to subtly shine through the silver organza inner and mosaic tiles, the light portrayed will be magical against the mirrored tiles. A wide circular opal glass sits beneath the fitting to cast a diffused spread of light. 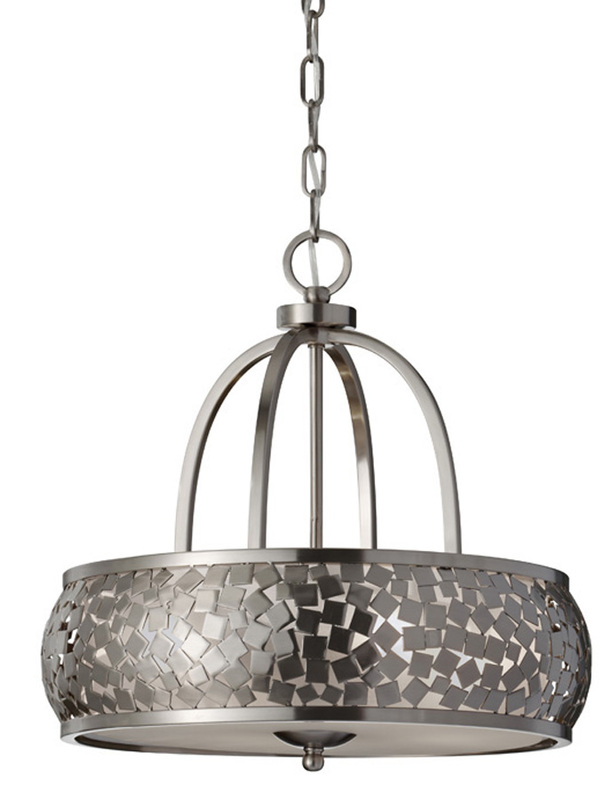 Supplied with 152cm of chain that can be shortened at the time of installation to suit your ceiling height. Please see the technical information below for exact dimensions. Designed in the USA by Feiss, founded in New York in 1955. They have become well known over the years for their contemporary yet classic styling, quality and great original designs like the Zara 4 light ceiling pendant in brushed steel finish with organza fabric inner you see here.